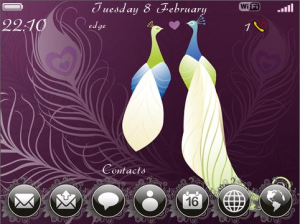 Love Birds is a beautiful theme with deep purples and romantic images. Includes a gorgeous bottom bouncy dock. The Mobile Security Suite developed by SentryBay is a secure browser containing advanced antiphishing protection.